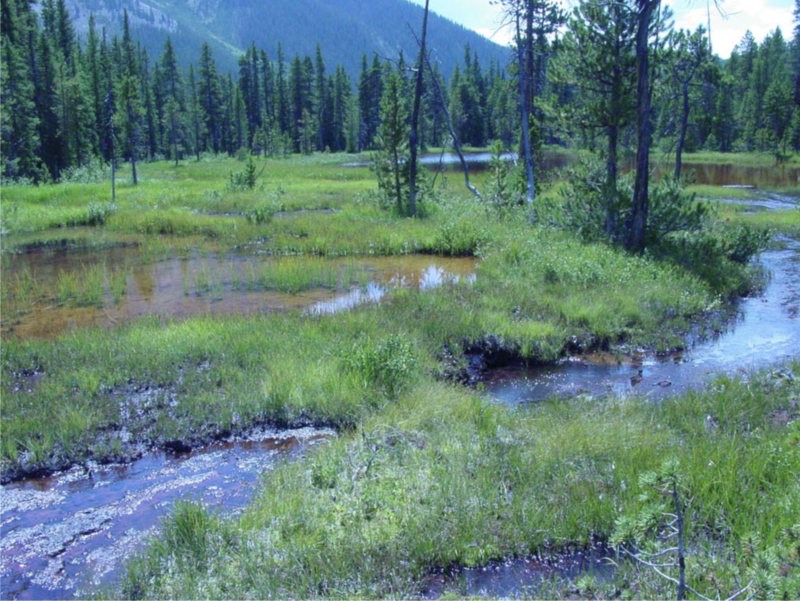 Photo credit from report “A Preliminary Evaluation of Seasonal Water Levels Necessary to Sustain Mount Emmons Fen: Grand Mesa, Uncompahgre and Gunnison National Forests,” David J. Cooper, Ph.D, December 2003. The restoration of a unique wetland on Mt. Emmons is wrapping up this summer season. This special wetland—specifically called an iron fen—was designated in 1999 as a Natural Area by the state of Colorado because of the unusual chemical makeup of the water and soils that provide an ideal ecosystem for rare carnivorous plants and unusual dragonflies. The iron fen has likely been around for about 8,000 years, according to fen expert and senior research scientist and professor at Colorado State University Dr. David Cooper. What makes the Mt. Emmons fen unique is that it contains a pyrite-rich bedrock and talus, characteristic of only a few fens in the region. When the pyrite oxidizes it produces sulfuric acid, “which, when dissolved in water, forms a strong acid that can leach ions from the rock, including iron,” Cooper states. According to Colorado Parks and Wildlife, “Mount Emmons and a few other iron fens in the southern Rocky Mountains … are rich in mineral ions (especially iron and sulfur) but have a very low pH, which results in an unusual flora,” including small orchids and one of only four populations of roundleaf sundew in Colorado. Roundleaf sundew is a carnivorous plant that lures insects into a sticky trap, then digests its meal with enzymes before unfurling its trap once again. The Grand Mesa, Uncompahgre, and Gunnison National Forests District (GMUG), along with the Army Corps of Engineers and Coal Creek Watershed Coalition, are working to restore the iron fen to pre–wagon road days, which runs parallel with Kebler Pass. The iron fen is located to the north of Kebler Pass Road on Mt. Emmons, and spans 15.1 acres across a sloping hillside. The dewatering of the fen is mostly being caused by water being diverted into a historic ditch away from the old wagon road. According to Ashley Hom, a hydrologist for the GMUG Forest Service, “Without that ditch the water would destabilize the hillside,” which poses a risk for Kebler Pass Road. 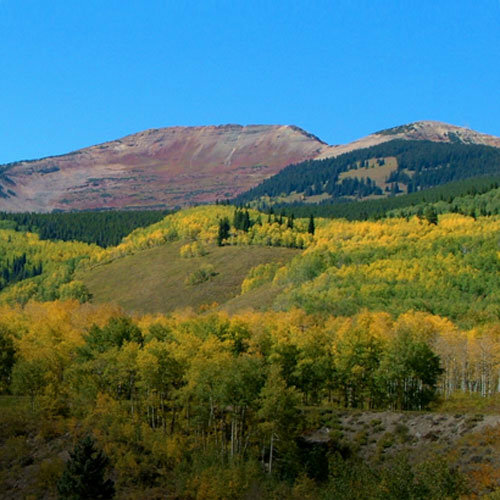 In 2015 a storm on Kebler Pass dumped rain on top of snow, causing “substantial surface flow” across the fen, down the hillside and onto the road, which prompted emergency action by the National Forest personnel to widen the ditch between Kebler Pass Road and the fen, according to the Mt. Emmons restoration and mitigation plan. While the ditch helped stabilize the hillside by diverting water out of the ground, it also resulted in significant dewatering of the iron fen. This issue is what prompted the restoration project through the GMUG Ranger District, which began in fall 2016. “The goal of this project is to restore the surface and groundwater hydrology, along with the native vegetation, on the portion of the Mt. Emmons iron fen that was impaired by the emergency action that extended portions of the historic ditch… and included construction of a rockery wall, spillway, culverts, and rip-rap on Kebler Pass Road to protect the road yet allow for natural surface and sub-surface water flow from the fen,” according to the restoration and mitigation plan. There is still some work to be done, states Hom, including more ditch work, planting, feeding and monitoring in the area, which will resume this summer. Eight monitoring wells have been placed in the fen, four above the ditch and four below the ditch, and hydrologists will monitor the ground water levels in the wells, and the restoration “will be considered successful if [the wells] below the ditch show the water table depth there to be decreasing or rising closer to the surface,” according to the restoration and mitigation plan. The plan states that “restoring the presence of a shallow water table within the area should provide for fen-like hydrology,” which will, in turn, restore historic vegetation to the iron fen below the ditch. “Overall the rehabilitation of the drainage ditch within the Mt. Emmons iron fen appears to be successful. Ground water levels have already risen to within 30 centimeters of the surface and water table levels below the ditch are within at least 15 centimeters of those above the ditch,” according to the GMUG watershed team. There have been many agencies involved in the restoration of this unique swath of wetland, including the Army Corps of Engineers, which permitted the project, and the Coal Creek Watershed Coalition that allocated $45,000 for phases 1 and 2 of the restoration and mitigation project. You can follow progress of the project and direct questions to Ashley Hom at the Gunnison Ranger District, (970) 642-4406 or ashleyhom@fs.fed.su. A giant step was taken this week toward finding a permanent solution to the idea of a molybdenum mining development on Mt. Emmons (also known as Red Lady), resolving environmental problems in that area, protecting the water treatment plant on the site, and possibly taking the idea of a mine off the table. Further steps will be taken over the next couple of weeks, but state, local and federal officials describe the latest development as “exciting” and “optimistic,” with the potential to finally end the decades-old fight over a moly mine just west of Crested Butte. U.S. Energy, the long-time owner and permit holder of the potential mine and water treatment plant on Red Lady, entered into an acquisition agreement with the Mt. Emmons Mining Company (MEMC), a wholly owned subsidiary of Freeport-McMoRan Inc. last Friday. Freeport is one of the world’s largest copper, molybdenum and gold mining companies and is based in Phoenix, Ariz. It owns the Henderson and Climax molybdenum mines in Colorado. MEMC essentially acquired U.S. Energy’s mine site, located about three miles outside of Crested Butte. The acquisition includes the Keystone Mine, the water treatment plant and other related properties including buildings, land and mining claims. U.S. Energy made the acquisition announcement on February 12. Colorado U.S. Senator Michael Bennet issued the following statement on the announcement that Freeport-McMoRan, through a subsidiary, has acquired the water treatment facility that treats the water that is released into Coal Creek and runs into Crested Butte. Freeport-McMoRan also has acquired the mining claims and mineral deposits on Mt. Emmons. The agreement was enshrined in a Memorandum of Understanding for Mt. Emmons, which has been signed by Crested Butte, Gunnison County, the State of Colorado, and Freeport-McMoRan. “This agreement is a tremendous step forward for the community. It will help ensure the long-term stability of the water treatment facility and the future status of Mt. Emmons. The agreement would not have been possible without the diligent work of Crested Butte, Gunnison County, the state of Colorado, and Freeport-McMoRan. After the “catastrophe” last week near Silverton, Colo., when roughly three million gallons of toxic water ran into the Animas River, the question arose whether something similar could happen here in the Upper East River Valley. According to local environmental leaders, the answer is, possibly. up the legacy of acid mine drainage. “Importantly, it’s not the EPA’s fault alone. Many are just as responsible,” Melton said of the Animas spill. “What we do or fail to do affects millions of people and animals and hundreds of local communities, not just ourselves. Melton said although Crested Butte also has a legacy of acid mine drainage, here much of it is being treated by a water treatment plant operated and owned by U.S. Energy. However, no bond has been imposed on the plant, which would be a problem should U.S. Energy ever put operations on hold. Steve Glazer, president of the Coal Creek Watershed Coalition board of directors, noted that in the Gold King Mine, the bulkhead, or dam, had built up mine drainage pressure and failed, releasing the contaminated water. Glazer wrote in an email that the water treatment plant (WTP) has a retention pond that can hold one to two days of draining water storage, plus an emergency retention pond that can hold multiple days of discharge. He said if the WTP were to stop operating, after the emergency storage capacity was exceeded, untreated acid mine drainage would contaminate Coal Creek, the Slate River and the East River below their confluences. “The dilution from the Taylor might be enough to prevent toxic levels in Gunnison (or not). This would have to occur before EPA would step in and take over the WTP. In an emergency, the Town could extend its intake upstream to avoid receiving any contaminated surface overflow,” Glazer wrote. At the request of the Red Lady Coalition and HCCA, the Crested Butte Town Council agreed at a meeting in late July to go on record that the town needs protection and state and federal agencies will be asked to impose a bond on the plant. A letter is being drafted and an update could be presented at next week’s council meeting. Progess addressed several differences between the Gold King Mine and the Standard Mine in an email to the News. She said there is a much better understanding of the water levels inside the Standard Mine than at the Gold King Mine because the management team has been inside the Standard Mine and boreholes from the surface have been drilled into the old mine workings so the presence of contaminated water levels and any buildup in pressure can be measured. Progess noted that the workings within the Standard Mine are not completely full of water. “We are driving a new tunnel to intercept existing workings behind collapses within the lowest level of the mine,” Progess wrote, pointing out that work at the Standard Mine is proceeding cautiously to ensure contaminated water is contained. Carol Worrall, director of public health in Gunnison County, said after seeing what happened to the Animas she also wondered if something similar could happen here. She believes there is a certain amount of “we have the purest water” mentality here in Crested Butte, but we might not be aware of particular metals. She guessed that nearly 70 percent of people in Gunnison County rely on private wells and most people, when testing their wells, test for bacteria. But for cases like these, water needs to be tested for heavy metals, which aren’t as easily detected. Worrall said when she read about the Animas spill, she thought the visuals were pretty shocking and had hopes that maybe the spill would help influence people here to test their own well water. She thinks it would be best for people to test their well water now and then, and if there were some later disturbance, conduct follow-up testing. According to the Colorado Department of Public Health website, there is no generic water test for everything, so each contaminant must be evaluated individually. However, if you’re buying or building a house and need to have a well tested, a standard test is available and testing supplies are free of charge. Call (303) 692-3048 for more information and to order water tests. More Gunnison River Basin coverage here and here. The Colorado Water Quality Control Commission voted September 11 to impose the stricter standards despite an argument from U.S. Energy that nearby domestic wells were pumping water from the Slate River instead of Coal Creek. “Frankly, I don’t even recognize my town in the diagrams presented to you from U.S. Energy,” said High Country Citizen’s Alliance (HCCA) water director Jennifer Bock in reference to the claim that the wells were pumping water from the Slate River. The portion of the creek affected by the decision starts at just below the town’s water supply intake to the confluence with the Slate River. By voting to put stricter regulations on that portion of Coal Creek, the commission voted in agreement with positions advocated by HCCA, Gunnison County, the Upper Gunnison River Water Conservancy District, and the Gunnison County Stockgrowers. The segment of Coal Creek is out of compliance with state water quality standards, and has been since temporary modifications were first put in place in the early 1990s. Bock explained that temporary modifications are put in place when a discharger releasing pollutants into a water body cannot meet quality standards and needs more time to assess the situation. “The legal word in the regulations is uncertainty, so if there’s uncertainty about why there’s a pollution problem, it does give the discharger time to resolve it,” Bock said. In this case, U.S. Energy Corp. was requesting an extension of the temporary modifications and more lenient standards on cadmium, zinc and copper. Initially, U.S. Energy proposed loosening the temporary modifications in addition to extending them. Yet the current temporary standards are already significantly above state standards: of 2.3 micrograms per liter for cadmium as opposed to the more typical range of .15 to 1.2 depending on water hardness, and 667 micrograms per liter for zinc. State standards for zinc are typically between 34 and 428 micrograms per liter, again depending on the hardness of the water. After some back and forth, U.S. Energy instead proposed a slight tightening of the temporary modifications to 2.1 micrograms per liter for cadmium and 440 for zinc. In HCCA’s eyes, that amounts to the status quo, but that’s acceptable for the time being if steps are taken to understand where that pollution is coming from. In addition to standards for drinking water, the commission granted U.S. Energy’s request for temporary modifications on standards for copper, cadmium and zinc. As part of the decision the Water Quality Control Commission is asking U.S. Energy to develop a comprehensive study on metal loading from Mt. Emmons, which will be the subject of another hearing on December 10 in Denver. The two-phase plan would control the flow of water through the mine to reduce contamination, and if needed, use passive water treatment to further treat runoff. The record of decision, signed in September, has the support of the local nonprofit Standard Mine Technical Advisory Group but still needs to be selected for federal funding. It could take until 2013 before the plan is implemented, complementing remediation work already done from 2007 through 2009. 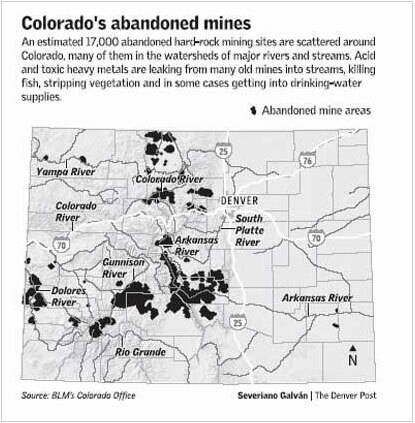 The Standard Mine, which is about five miles west of Crested Butte and drains into Elk Creek, was added to the National Priority List in 2005 because of elevated levels of metals in the soil and the creek. 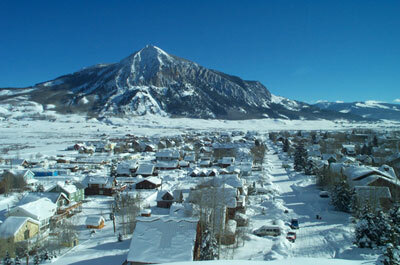 Elk Creek flows into Coal Creek, which is the site of the municipal water intake for Crested Butte. “We were really fortunate that when the EPA first came in 2006, they had the funding to do some surface cleanup first,” said Anthony Poponi, executive director of Coal Creek Watershed Coalition and grant administrator for the advisory group. That work included building a repository for mine tailings that included waste rock and tailings rich in pyrite, a metal that creates acid mine drainage when exposed to air. After removing waste rock and tailings from Elk Creek, the EPA also reconfigured the creek. Residents interested in learning more about the plan are invited to attend an EPA-hosted community meeting on November 30, at 1 p.m. in Town Hall. More Standard Mine coverage here and here. HCCA, along with the Western Mining Action Project, filed the suit in Denver District Court on Wednesday, March 2. “We firmly believe the mining company needs to put up a bond that should address water treatment issues,” explained HCCA executive director Dan Morse. The Colorado Mined Land Reclamation Board, which oversees all mining decisions in the state, granted final approval for the proposal in January 2011, but failed to require any bonding amount for the treatment of polluted water from the Project. 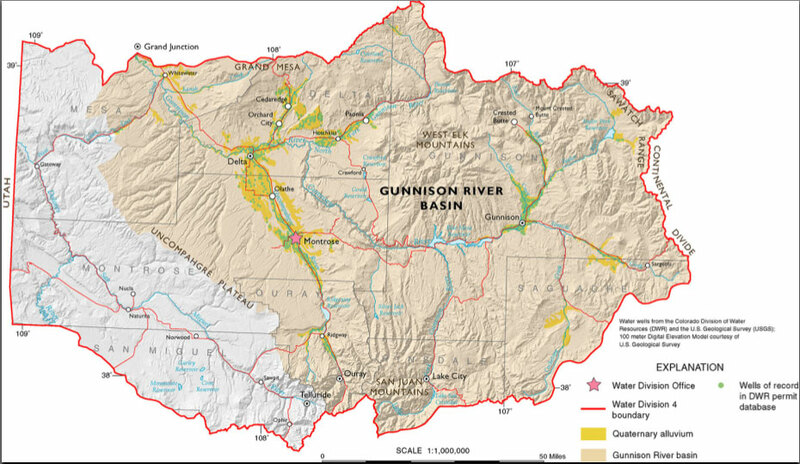 More Gunnison River basin coverage here.